Founder Kelly Carnes, found her way to the mat as a favor to a friend, and never left. She fell in love at first breath, and the beautiful practice became much more than a habit, it became a lifestyle. She spent three years on the mat before traveling to India to train in teaching, so that she could return an instructor and share the blessings and benefits of yoga with others. While her body came back, part of her soul is still meditating on that beach, which is a big part of why she pursued a career path with more freedom - so she could practice, teach, and not let the daily grind extinguish her bright spirit. 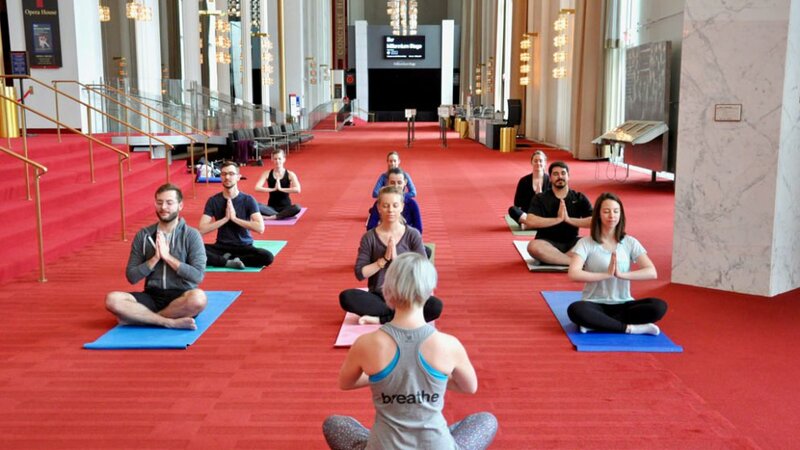 She’s set up public yoga programs at the Hirshhorn, the Kennedy Center, Right Proper Brewery, and Beuchert's Saloon - attracting hundreds of yogis to new spaces and associating them with mindbody wellness. 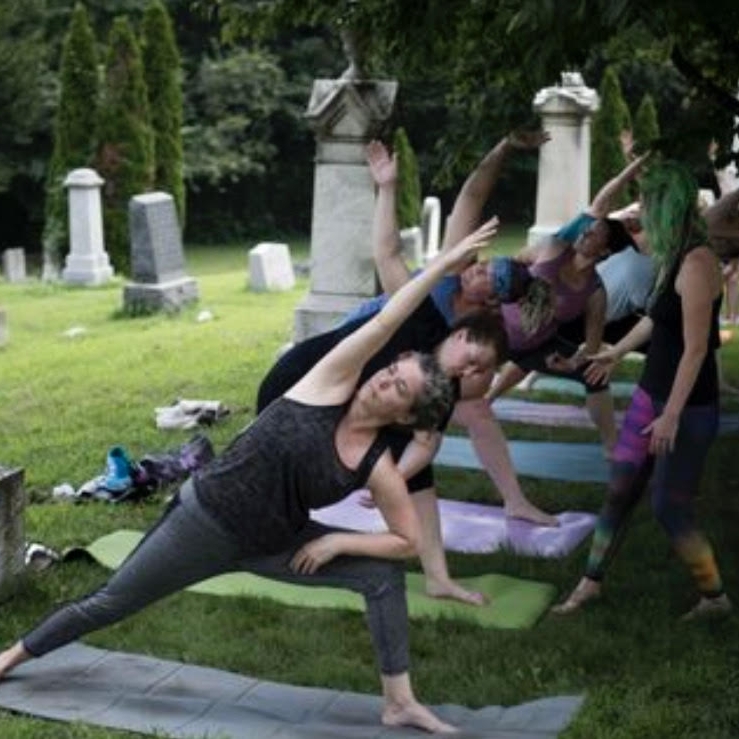 She also inspired a yoga program at Historic Congressional Cemetery, “Yoga Mortis” which she teaches. She developed a “Zombie Yoga” class specifically for the space, which speaks to her unique teaching style. She loves composing her classes to epic movie soundtracks, with creative sequencing to move the body and breath into shapes that tell stories. She’s found this approach to be a fun and familiar way to create accessible entry-points for intimidated yogis who are eager to experience something new. Kelly inspired and manages the free community yoga program at the Kennedy Center. Classes are FREE and open to the public every Saturday, 10:15-11:15am. Photos from the June 24 Lord of the Rings-inspired class here. Visit the schedule to sign-up! Yoga Mortis will enjoyed it’s 4th season thanks to a generous grant by TKF, From Spring to Fall, Kelly teaches FREE classes called, "Yoga Mortis. " The class is a 60 minute, all-levels vinyasa practice held in the Historic Congressional Cemetery either in Chapel or on the grounds. No sign-up is necessary, but do BYOMat.